Guest post – coming soon!!! 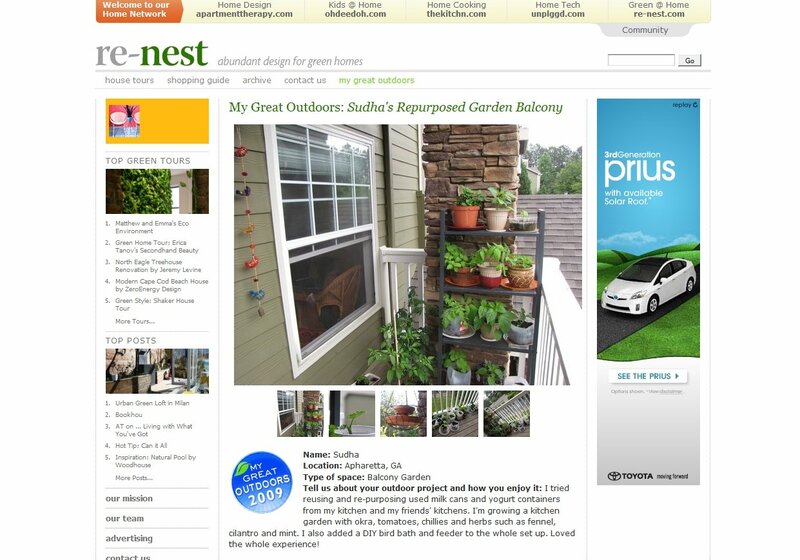 I was contacted by Elizabeth Greene of – My Dog Ate my My Blog with a request to feature one of their guest authors on The Green Crusader. Great blog! Your posts are very informative and I appreciate your post entitled “An Introduction to Ecocide”. My name is Elizabeth, the assistant editor at My Dog Ate My Blog. We have been blogging about politics, education, and technology for a few months now and we think it is about time to start reaching out to other passionate people.I would love to have one of our bloggers write a guest post for your blog. If you have any topic or style guidelines for guest posts, send them my way.I am looking forward to talking with you more. My Dog Ate My Blog is a creation of editors, writers, and marketers in the education industry looking for an outlet for their general creativity and immaturity. I mentioned my winning a Sunset Green home Design Guide earlier. :)…The Book arrived and I am so looking forward to read through the entire book !.. Will post more pics of the insides of the book asap!! I woke up to a very anxious day today. I was supposed to get a crucial medical report. As first thing in the morning, I sat down to check my email. 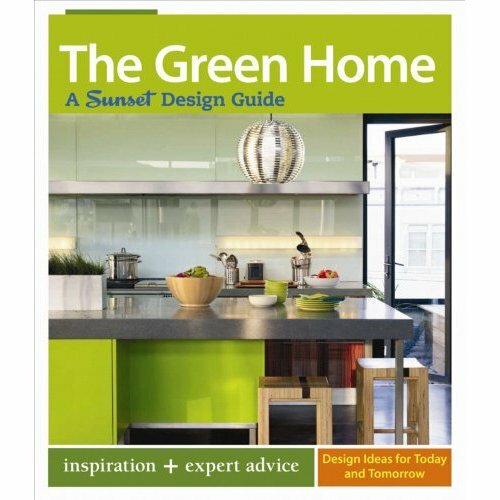 And lo!…I had a wonderful surprise waiting for me….I had won a nice Green Design Book…Yippiee!!.. I am thrilled to have been picked a winner in a random giveaway!!!!! Thank you Rachel – for the wonderful book…I am looking forward to receive it!!! Rachel’s website… – theinteriorevolution.com is a wonderful Green design and architecture resource..(I recommend that you check it out). I appreciate Architects and Designers who advocate and really believe in Green, sustainable and eco-friendly design. I read a few articles in her website and loved Rachel for her strong will to make a (Green) difference in the design and construction industry. I am glad to have bumped into Rachel’s website. I am sure it is going to be a one stop resource to realize my long standing dream to remodel my parent’s home. Also, the book I just won, is going to be a perfect addition to my dream library. Thank you Rachel, you made my day! I was supposed to publish this post a long time back, a system crash and ill health delayed it by a few weeks. Better late than never..right!! I am elated to have been mentioned by a fellow blogger – Poornima who blogs at “The Earth Sign”. It is a honour to be acknowledged in the blogger world for posting off beat and not so interesting set of topics. In my experience as a blogger, I find it really difficult to get people interested in Green topics. It is sad that many allied topics get prominence over very important ones. Going green is not a fad or a fashion for few. It is a non existing or uninteresting topic for the rest of the population. I find only a few who are working towards tackling issues related to our planet, the least one could do is start by making small lifestyle changes and grow to being more eco-friendly. However, I do not see it happen in most cases. People still ask for plastic grocery bags as if they were their life lines and as though life couldn’t exist with out these flimsy bags. More so, there are a few others who ask for extra bags without giving a second thought to their action and its impact. Surviving among all these people and their carelessness, I still like to believe that everyone is doing their bit, and maybe are not vocal with their thoughts…this keeps my spirits up and striving towards pooling more number of people into the crusade to save our lives. I loved the fact that she is trying to do her bit and wants to make a difference. We need more such youngsters to be a part of this race against time in protecting our planet from further damage. 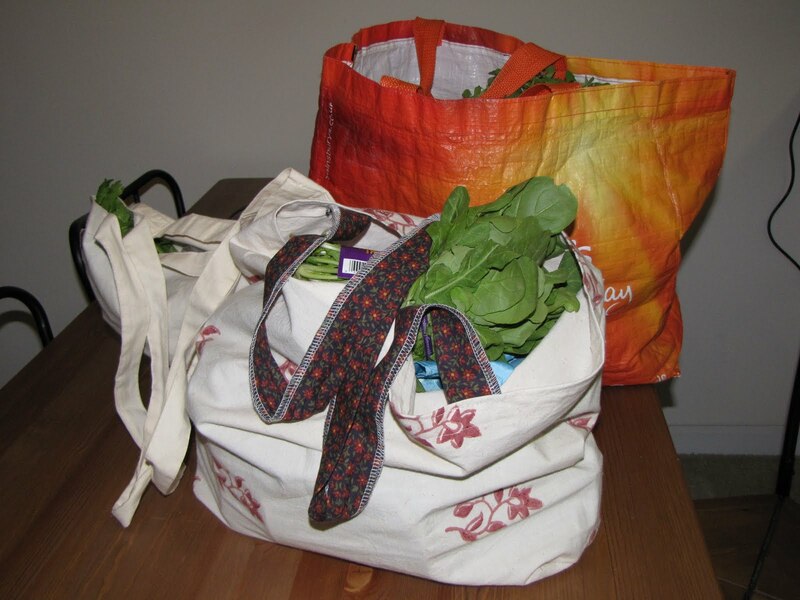 I am using my green bag lady bag (printed one in the front ) with my cotton bag from the university days and the orange bag, a gift from my brother (gifted to me about five years ago, honoring my green efforts! )…Until next time….Take care and keep the planet green! My space in the world of Apartment Therapy- Renest! Being featured among the Great Outdoors 2009 was a major morale boost for me.